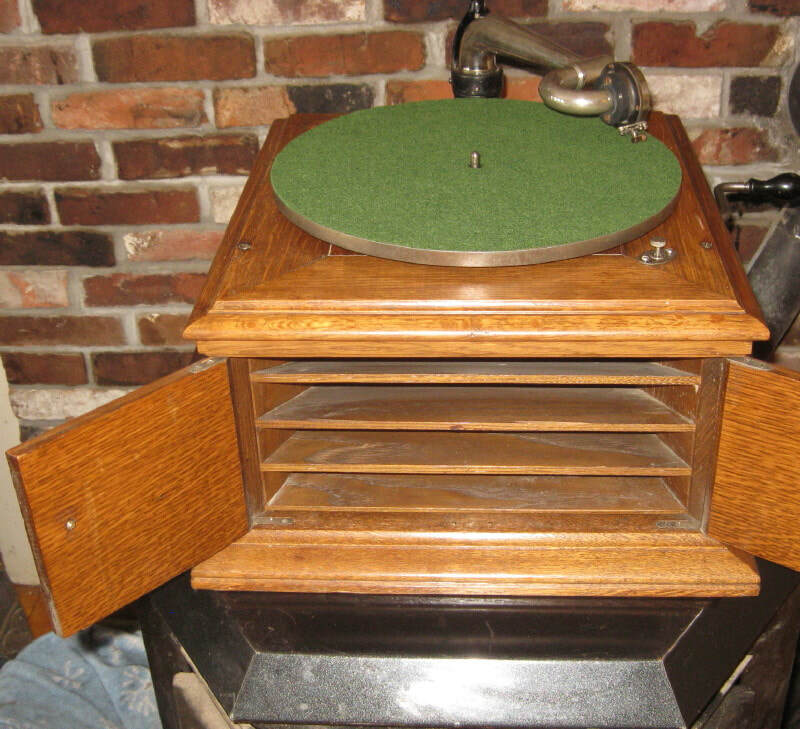 Victor's better offering of their lidless table models was the VV-VI as offered here. 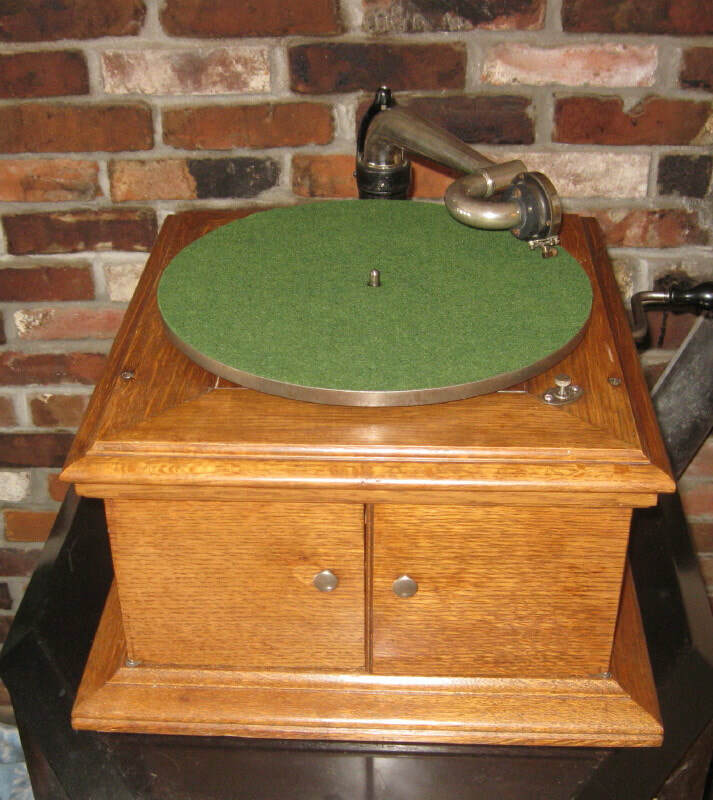 This is an excellent example of this popular quarter sawn oak phonograph. 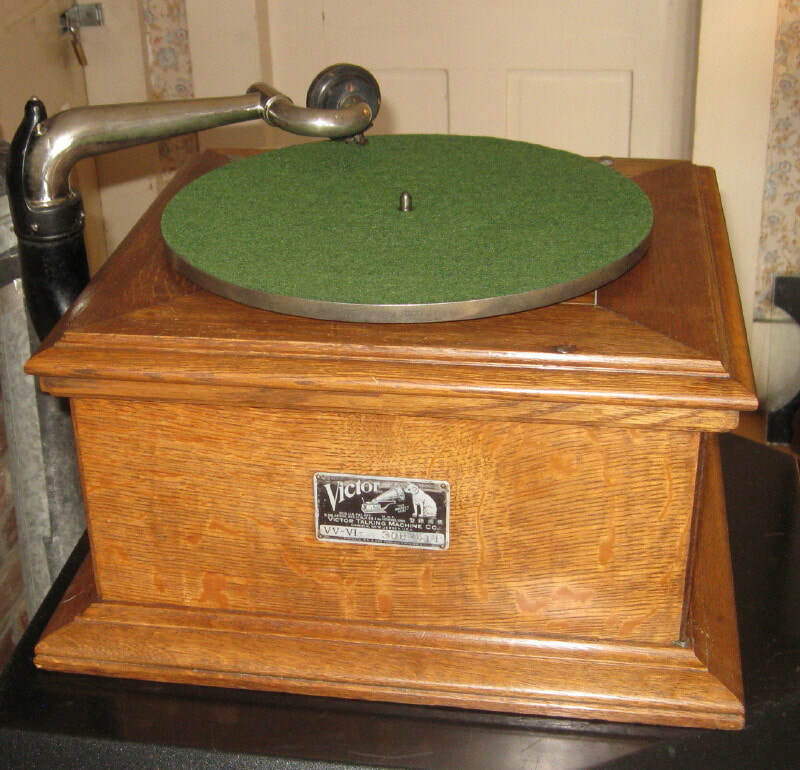 It has a strong 2 spring motor and rebuilt Exhibition reproducer. 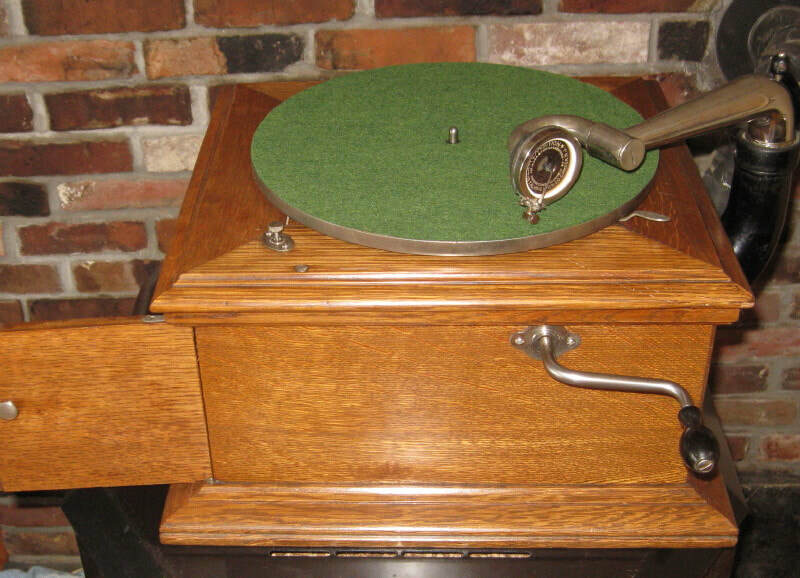 This will give you and your family many years of enjoyment spinning the shellac records from a long gone era.